Germany's Bayer plans to buy U.S.-based Merck & Co.'s consumer health business, creating a combined medicine cabinet of household names from Bayer's aspirin to Merck's Claritin allergy pills. The $14.2 billion deal announced Tuesday would vault Bayer AG atop the nonprescription medicine business across North and Latin America. It would make Bayer No. 1 worldwide in skin and gastrointestinal products, a strong No. 2 in the huge cold and allergy category, and No. 3 in pain relievers. "We are combining two highly complementary businesses with virtually no overlap that will improve our product position over multiple categories," Marijn Dekkers, Bayer's CEO, said on a conference call with journalists. Merck, widely considered the most research-driven U.S. pharmaceutical company, would divest a slow-growing business it inherited in 2009 when it bought Schering-Plough Corp. to get its experimental prescription medicines. 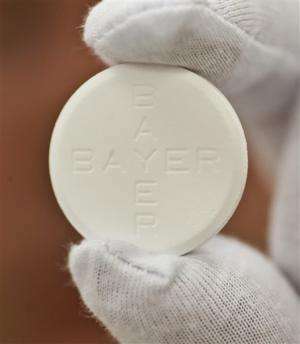 Bayer, which invented aspirin more than a century ago, already has a major over-the-counter division whose brands include Aleve pain reliever, Alka-Seltzer and One-A-Day vitamins. It would add Merck's Claritin, the Coppertone sun-care line, Dr. Scholl's foot-care products and MiraLAX laxative. The transaction is part of a recent surge in pharmaceutical industry deals. Some drugmakers are selling or swapping business segments to focus on areas where they have the most expertise, marketing prowess and prospects for growth, as Merck is doing. Others, like Bayer, are making acquisitions to beef up their portfolios of products or experimental drugs to boost future sales. Merck CEO Kenneth Frazier said in January that he was evaluating options for Merck's consumer and animal health businesses, both units without enough scale to grow quickly. On Tuesday, Merck said it would use the sale proceeds to invest in business areas with the highest growth potential and beef up its drug pipeline with "external assets." 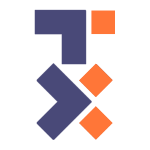 Merck is a different company than Merck KgaA, which is based in Darmstadt, Germany. The American company is known as MSD, for Merck, Sharp & Dohme, outside the U.S. and Canada. The transaction, expected to close in the second half of 2014, requires regulatory approval. Bayer will borrow money to pay for the deal, which will bring it significant tax savings and about $200 million in savings on marketing and production costs by 2017. "The extra revenue creates the synergies for us," Dekkers said, adding that the deal "marks a major milestone on our path towards global leadership in the attractive non-prescription medicines business." Ana Nicholls, a health care analyst at The Economist Intelligence Unit, noted Bayer has offset price-cutting and recession in Europe with a big push into emerging markets. 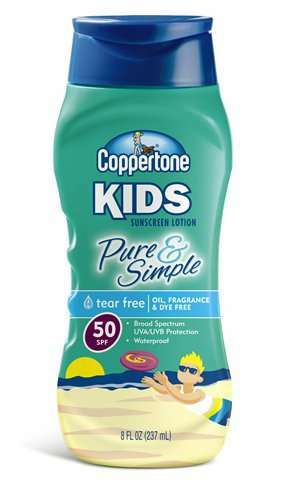 "It now has a geographical reach that should allow it to take its newly acquired U.S. brands, such as Claritin and Coppertone, and roll them out pretty much worldwide," she added. Meanwhile, Bayer and Merck also agreed to cooperate on developing and selling drugs in a new class known as sGC modulators, which have potential for treating some heart conditions—long a Merck strength. Merck would initially pay Bayer $1 billion, with up to $1.1 billion in future payments contingent on sales. The partnership includes a Bayer drug approved in the U.S., Adempas for treating high blood pressure in lung blood vessels. It also features a chronic heart failure drug in midstage patient testing and other experimental drugs in earlier stages of research. Merck, like other major drugmakers, has seen prescription drug sales slide amid cheap generic competition for several drugs that once raked in billions annually. Those include asthma and allergy pill Singulair, allergy spray Nasonex and blood pressure drugs Cozaar and Hyzaar. Merck, based in Whitehouse Station, New Jersey, in April reported a 7 percent rise in first-quarter earnings, mainly due to cost cutting across its businesses, including eliminating another 2,000 jobs in the quarter. In late afternoon trading, Merck shares were down $1.39, or 2.4 percent, at $57.24 in New York. Bayer shares fell nearly 1 percent in Germany. Dekkers said any layoffs after the deal closes, either in the U.S. or Germany, would not be significant. "This is not a deal that hinges on job eliminations as a key value driver," he said. Bayer, based in Leverkusen, Germany, said the combined consumer care business would be based at its new U.S. health care headquarters in Whippany, New Jersey. Merck's consumer business, based nearby in Summit, New Jersey, has about 2,250 employees. Bayer's consumer business, nearly 2½ times the size of Merck's, has about 8,000 employees.